We use a comprehensive dataset of French manufacturing firms to study their internal organization. We first divide the employees of each firm into `layers’ using occupational categories. Layers are hierarchical in that the typical worker in a higher layer earns more, and the typical firm occupies less of them. In addition, the probability of adding (dropping) a layer is very positively (negatively) correlated with value added. We then explore the changes in the wages and number of employees that accompany expansions in layers, output, or markets (by becoming exporters). 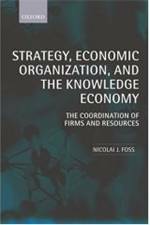 The empirical results indicate that reorganization, through changes in layers, is key to understand how firms expand and contract. For example, we find that firms that expand substantially add layers and pay lower average wages in all pre-existing layers. In contrast, firms that expand little and do not reorganize pay higher average wages in all pre-existing layers. 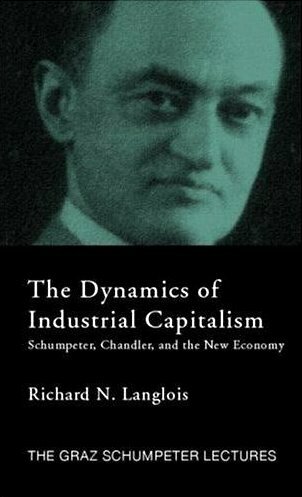 [T]he clamoring and clattering that you hear from the Keynesians . . . that austerity is bad forgets the fact that austerity isn’t an elective course. Austerity is something that happens to you when you’re broke. President Obama’s gaffe about business creation — “If you’ve got a business, you didn’t build that. Somebody else made that happen” — has been met with the usual reactions. Defenders claim he simply used infelicitous language to describe the vital role of government in providing essential goods, while critics point out, for instance, that he didn’t even get it right on the Golden Gate Bridge (which received no federal money). I actually feel sorry for the guy. It was an pretty dumb thing to say, politically, and may end up hurting him more than Romney’s role in “exporting American jobs” (gag) hurts the challenger. [E]nthusiasts tend to forget the fallacy of the broken window. We see the internet. We see its uses. We see the benefits it brings. We surf the web and check our email and download our music. But we will never see the technologies that weren’t developed because the resources that would have been used to develop them were confiscated by the Defense Department and given to Stanford engineers. Likewise, I may admire the majesty and grandeur of an Egyptian pyramid, a TVA dam, or a Saturn V rocket, but it doesn’t follow that I think they should have been created, let alone at taxpayer expense. A gross benefit to particular entrepreneurs from a government program does not, by itself, demonstrate net benefits to the taxpaying community. Vague references to spillovers and multipliers may sound good in a press conference, but are no substitute for serious analysis. Jonathan Haidt: The Righteous Mind. This will be a re-read. I read Haidt’s book 2 months ago and loved most of it, although I thought it was rather weak towards to the end. The whole argument is basically founded on the notion of group selection, and while group selection has made a huge comeback in terms of scientific respectability, perhaps Haidt is overdoing it? Mark Pagel: Wired for Culture. Interest in group selection is also why I will read Pagel’s book, which seems to be all about human group selection, written by a leading British expert on human evolution. A reason why I take an interest in group selection stems from my interest in Hayek’s work on cultural evolution which is basically a group selection story — and which has been strongly criticized for exactly this reason. Ezequiel Morsella, John A Bargh and Peter M. Gollwitzer: Oxford Handbook on Human Action. No, this is not a commentary on Mises, but a collection of essays that” … brings together the current thinking of eminent researchers in the domains of motor control, behavioral and cognitive neuroscience, psycholinguistics, biology, as well as cognitive, developmental, social, and motivational psychology. It represents a determined multidisciplinary effort, spanning across various areas of science as well as national boundaries.” Great and accessible reading for anyone with an interest in human action and behavior that goes beyond simplistic economics treatments. Steven Pinker: The Better Angels of Our Nature: Why Violence Has Declined. Pinker is always worth a read!